The secular leader is trying to seize control for Islamist President Erdogan. Obama is siding with the Islamist regime. Tanks are also out on the streets in Ankara. 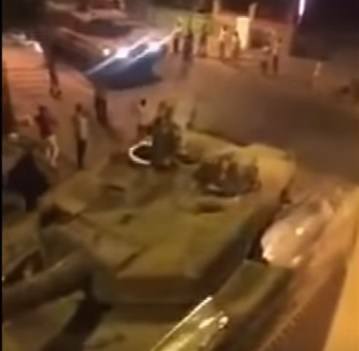 More video of tanks on the street in Turkey.